The history of the independent Samian winery NOPERA began in the middle of the 19th century and continues today with a model, organic, biodynamic vineyard, that produces high quality sweet and dry wine from White Samian muscat grapes, known as “muscat blanc à petits grains”. 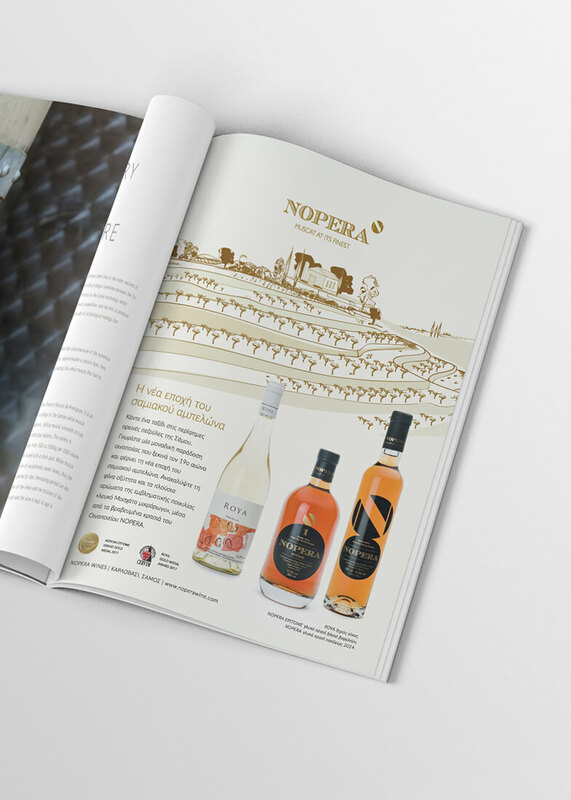 We were asked to design NOPERA’s new product listing “A new era for the Samian vine”, in order to promote their products while also communicating the singularity of the island’s vineyards, planted in stone terraces known as “pezoules”. 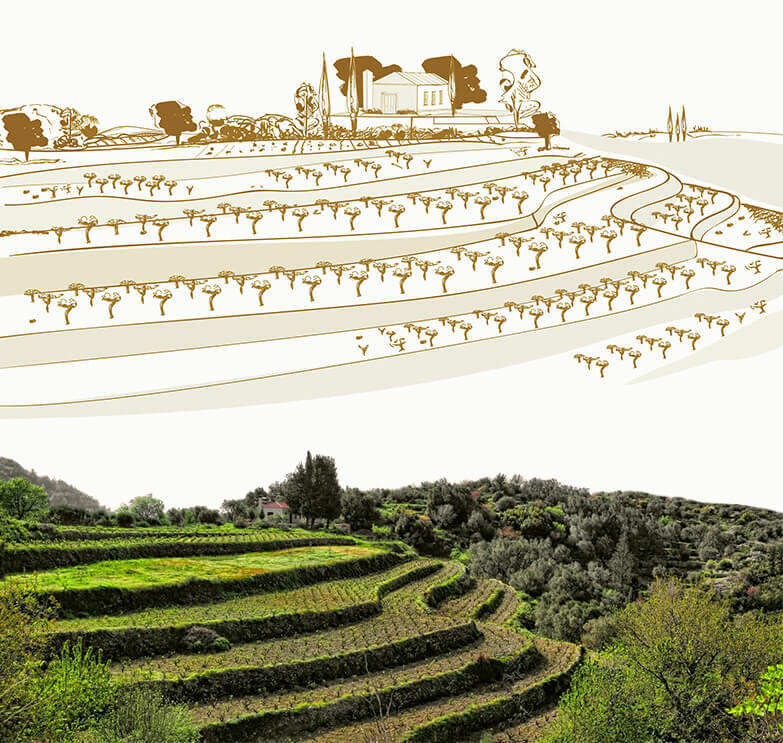 Our main focus with this project was to showcase the skillfully constructed “pezoules” of Samos, depicted with a golden illustration, which play a central role in the production of exceptional quality wines.